Description: We'll sample an array of scotch whisky while mingling and learning about Ministry of Supply, a quintessential MIT start-up! 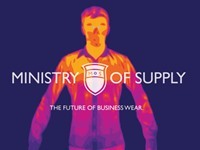 Ministry of Supply creates high-tech men's clothing using phase-change materials developed for NASA; after two blowout Kickstarter campaigns, the brand has been on a tear to transform the clothing industry. Registration includes set of whisky tasting samples, plus hors d'oeuvres. Price: $5 covers whisky tasting, plus hors d'oeuvres. This event is open to MIT Sloan and all other MIT alumni. Email Neheet Trivedi (neheet@alum.mit.edu) or Kevin McComber (mccomber@alum.mit.edu) with any thoughts or questions.